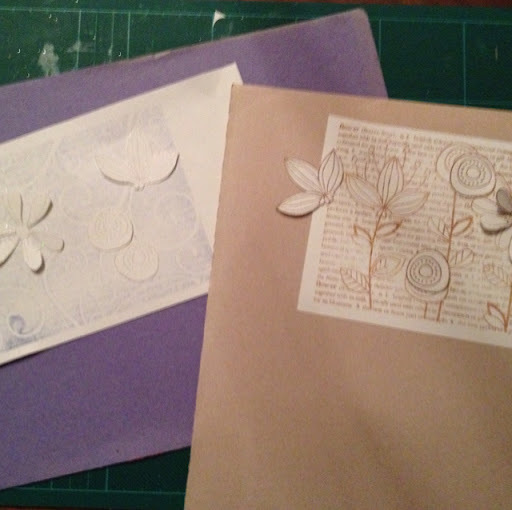 Needed a couple of cards for two brothers, and as usual I'm doing this the last minute. I also wanted to enter this months Hero Art contest with my new flower text stamp, so I made one with the velvet technique with florentine pattern (the brown one, not visible though). And on the blue I used the kissing technique with the same stamps. 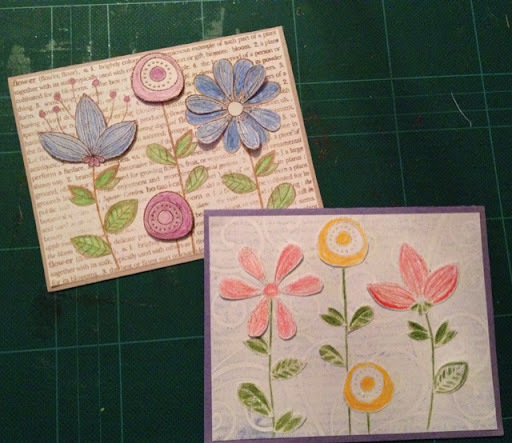 I also stamped and embossed two extra flowery ones (copper and hologram), and cut out.